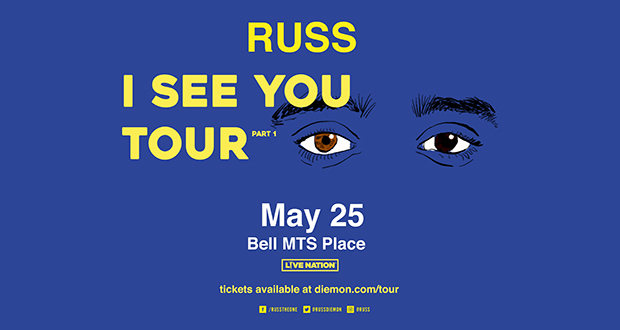 Atlanta-based hip-hop artist Russ has had breakout success over the past year, with his entirely self-penned debut album There’s Really A WOLF, released by Columbia Records in May 2017, entering the Billboard 200 chart at No. 7, reaching the top five of Billboard’s R&B/Hip-Hop chart and was certified gold by the RIAA in the U.S. The album served as the perfect showcase for his DIY approach with all 20 of its songs having been written, produced, mixed, mastered and engineered just by him. It includes Russ’s first two Hot 100 hits, the double-platinum certified “What They Want” and double-platinum success “Losin Control”, both of which received their RIAA accreditations entirely as a result of streaming activity. The popularity of the album helped Russ surpass 1.1 billion audio streams in the U.S. in 2017, making him one of Nielsen Music’s 30 most streamed artists of the year. This placed him above a number of superstar acts, including Beyonce, Chance The Rapper, Coldplay and Childish Gambino. He has now reached 1.3 billion audio streams as well as accumulating 500 million video streams in the U.S.